I bought an Rift Blue soft pack 30. I work out and needing to eat 5-6 times a day this works perfectly. I can put all my my meals and shakes + 2-3 ice packs. Deffintally worth every penny, and it is also very well made. Highly recommend to anyone that is considering it. 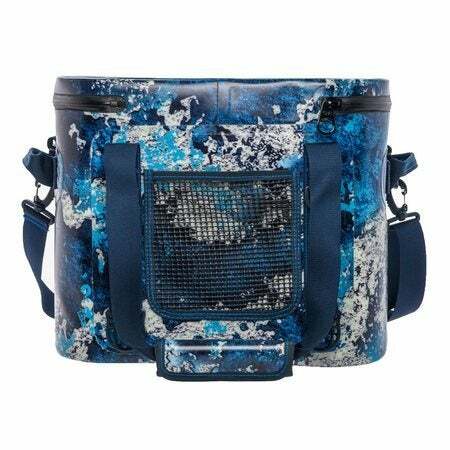 Pretty nice over all...I use it to keep drinks cold in the texas heat..the dry pocket tends to collect moisture though,almost like the cooler it self is sweating in the pocket..and if you dont keep some lube on the zipper it will get difficult to open and close..
Can someone tell me the secret to that waterproof zipper?? Seems like it takes two people to open it. Not really ,but it would be easier. Bought the Rift Blue soft pack 30 and couldn't be happier! Was tired of cheap soft coolers leaking all over my car and making a mess. 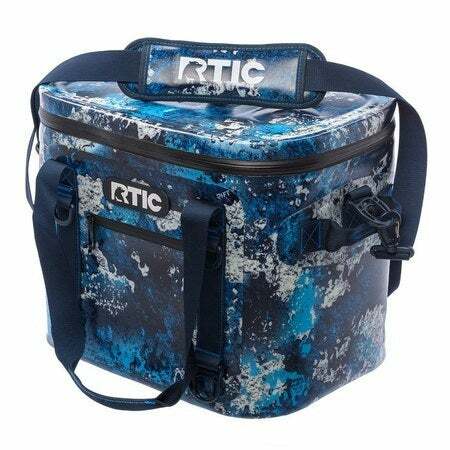 RTIC lives up to the expectations they say it should and the quality of materials do not fall short! Will be purchasing more RTIC gear! We were gifted one for Christmas last year!!! I want another one!!! I'm thinking the blue rift one!!! Come on Santa! Bring it!!! This price is amazing! I bought the SoftPak 30 rebelling against my husband's opinion that "what we have is just fine". It wasn't fine! 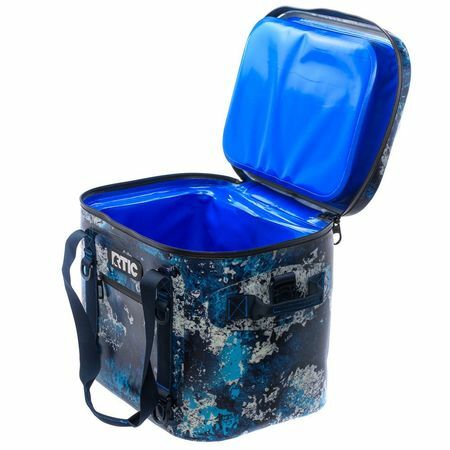 Every soft side cooler I've bought eventually was torn on one of my hubby's fishing or hunting trips, leaving us out of luck at times for The park, get togethers, kid sports, etc. As unhappy as he initially was with my surprise, after a trip to Alpine, AZ this Oct for his dad's cow elk hunt he saw the light. He was very impressed by the amount he could fit in the cooler, how long everything stayed cold & the fact that he wasn't worried about it being thrown in the back of the truck because it was "solid". I knew it was going to be a fantastic purchase, but getting my frugal husband to agree that the purchase was worth the price is a win like no other! 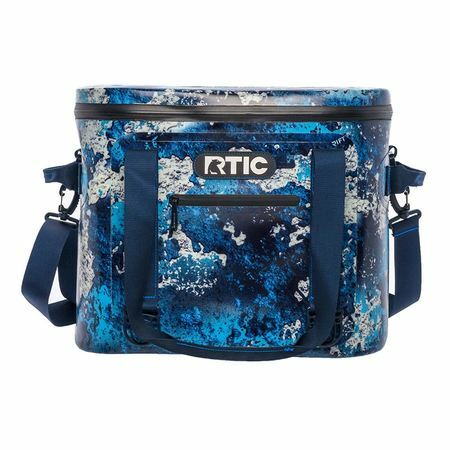 Not to mention everyone that has seen the Blue Camo print has commented on how much they like it. The 30 isn't too big, it isn't too small, it is just right! You really can't go wrong. 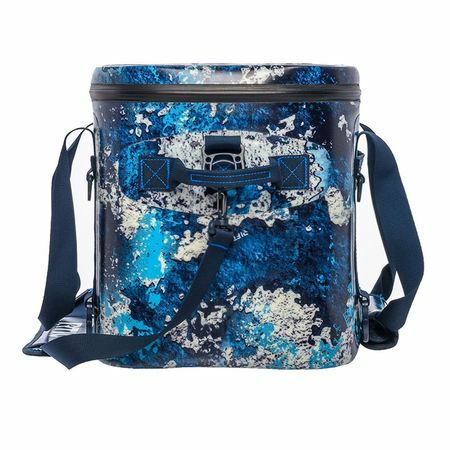 It's a really nice cooler.., really wish they had more color options for wemon like pink!!! 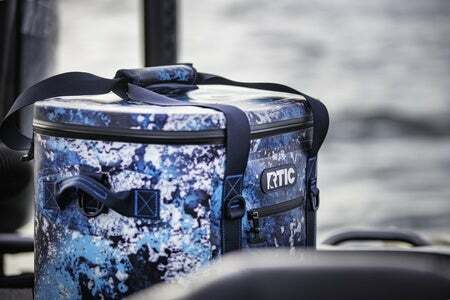 Everything is great about this cooler. Espically the new print. Waiting for the side pack to come out !